On April 16, 2015, the Department of Energy (DOE) made effective its new energy efficiency mandates, as part of the National Appliance and Energy Conservation Act (NAECA). This update will affect all household appliances manufactured for sale in the U.S., and Canada will soon follow in their implementation of similar energy efficiency upgrades. New water heater energy factor (EF) requirements went into effect as the result of updates to the National Appliance Energy Conservation Act (NAECA). These requirements call for higher energy factor (EF) ratings on virtually all residential gas, electric, oil, and tankless gas water heaters, completely altering the water heater landscape. NAECA 2015 also affects some light-duty commercial water heaters. 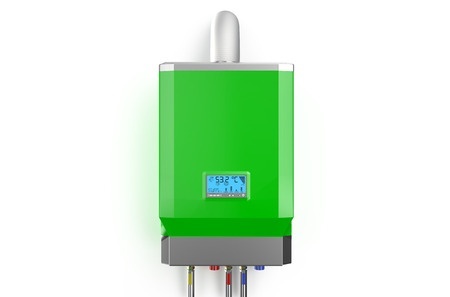 Homeowners are the winners from the new efficiency regulations, as energy and money savings can be considerable with the new compliant water heating products. In most cases, the new water heating products differ only slightly in size due to additional insulation (1-2 inches in diameter, and/or 1-2 inches in height), and therefor will easily replace the majority of existing products. Some of the NAECA 2015 product options will require the incorporation of an electrical feed, venting, or condensate disposal into an installation where none of these factors existed with the original water heater. In rare cases a water heater may have to be moved to a new location if available space is inadequate, or a different type of water heater may be required in order to meet the new EF guidelines. Treasure Valley Plumbing and Drain Service, a professional plumbing contractor, understands the new guidelines, knows all the product choices available, and will be able to make a recommendation that best meets your home’s and family’s needs. You’re in good hands with TVPD…we know all the best product choices you need, and which products will perfectly fit your household. We carry a comprehensive line of NAECA 2015 products to meet your needs. For installations where space is not an issue, units of similar gallon capacity but larger in physical size can be installed. For installations where space is an issue, a similar unit with smaller gallon capacity may be installed or a unit with different technology may be a good option. Recovery efficiency—how efficiently the heat from the energy source is transferred to the water. Standby losses—the percentage of heat loss per hour from the stored water compared to the heat content of the water (water heaters with storage tanks). Cycling losses—the loss of heat as the water circulates through a water heater tank, and/or inlet and outlet pipes. 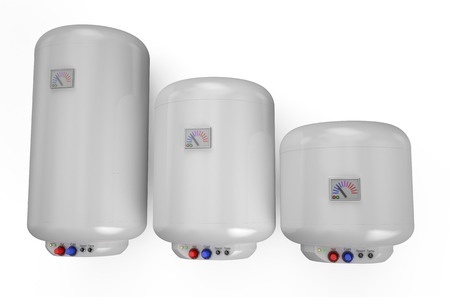 The plumbing contractors at Treasure Valley Plumbing and Drain Service are here to assist you in determining the best high efficiency water heater for your needs and budget. Contact them today to learn how you can save money on your new water heater.